RowanCountyOnline.com has partnered with one of the most beautiful destinations in the country to offer you great vacation deals and special offers. 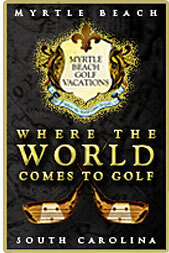 We have partnered with some of the best hotels and resorts in Myrtle Beach to offer you packages, special offers, and much more in Myrtle Beach and the Grand Strand area. Myrtle Beach, South Carolina is a year-round vacation destintation along the Atlantic coastline. With over 60 miles of wide sandy beaches that stretches from Little River to Georgetown. No matter the season, you will find plenty to do in along the Grand Strand. The area has attractions for every age including championship golf, live-entertainment, theater dinner shows and amusement parks..
With over 2000 restaurants to select from, menus range from seafood to Italian. No matter your taste, Myrtle Beach has something for everyone. After dinner, take in a movie or shop at our new Coastal Grand Mall or the numerous outlet stores! Myrtle Beach is a great place to have a memorable vacation experience full of fun and relaxtaion. We have miles and miles of sandy beaches, endless shopping, outstanding dining, tons of family activities to make your vacation unforgettable.